Young people are growing up as digital natives and in a very different world to the generations before them. Not only is there a world IRL (in real life), but now there are multiple ones online, including the worlds of gaming, video and mobile apps. Videos such as the one below where a 2 and ½ year old is given an iPad and speedily interacts with it without any difficulty, might be a bit concerning for grandparents who are not familiar with this type of tablet technology. As technology advances at such a quick pace, some grandparents may not always understand what children and young people in their care can get up to online. Grandparents may be concerned that children could be exposed to bad language, content that isn’t age appropriate or click on spam links, which could lead to potential security threats such as ID fraud. However this shouldn’t be a worry and there are helpful tips and advice available in the Norton Internet Safety Guide (below). Although it may be a case of the “fear of the unknown”, it helps to be aware of the sites and devices a young person might use, to ensure that they are staying safe online. That is why it is advisable to set some rules and guidelines to help advise a child when using the internet on any device! So, if you’ve never signed into a social media site or sat down with your children or grandchildren to discuss what they might come across on the internet, now is the time. Think about how you would guide your children in the real world, and apply some of that logic to their online activities. Have a look on the sites they use, if you haven’t already, to see what they could be exposed to and why they like using certain sites. Make the most of tools that prevent spam, keep your technology free of viruses and threats, and that will help to keep your children safe. It sounds simple, but don’t forget that all types of modern devices can have access to the internet, so watch what children use. Remind older siblings that certain websites they may visit are not always suitable for their younger siblings. 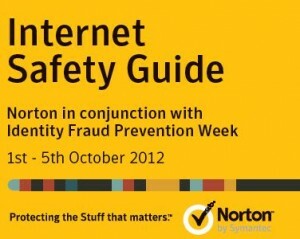 You can find out more about online safety for your children on Norton Online Family. Norton Online Family gives insight into what sites are popular for children online and what they can do when on them, so that you can keep them safe and teach them good internet habits. If you’ve had any fun experiences teaching and learning about the web with your children or grandchildren feel free to leave us a comment below.